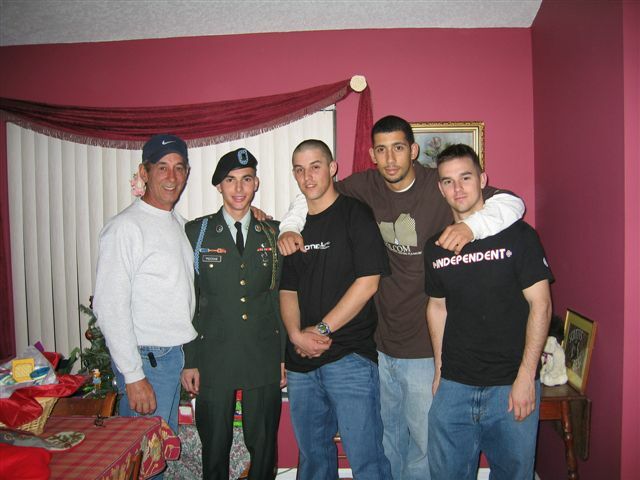 Mike Piccone, son Jonathan, John Thomas MI AIT, Cameron Wells AIT FT Benning, and Adam ___82nd Airborne. Mike and Jonathan enjoy some flight time together. John C Bonds, B Troop's first MNT SGT, SFC RET. 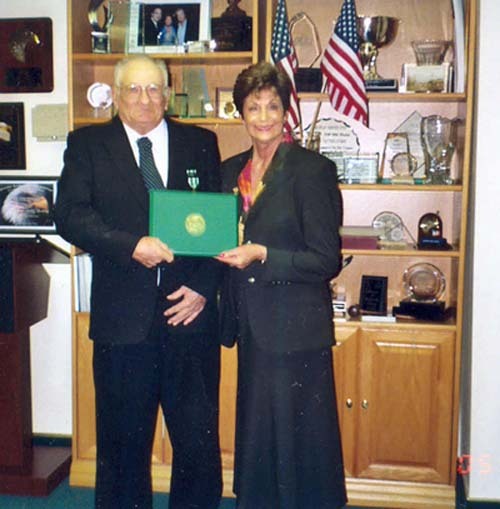 Was recently awarded the Army Commendation Medal during a ceremony in the office of Congresswoman Lany in Las Vegas. 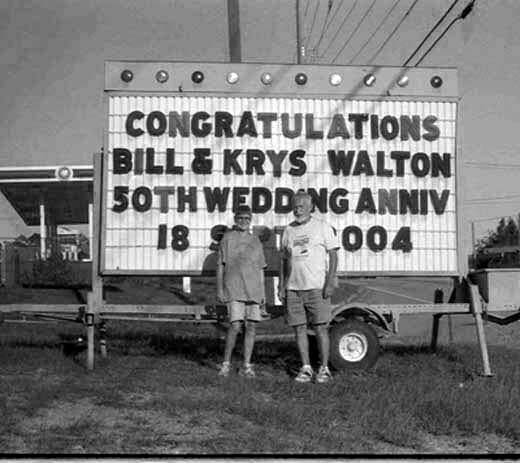 Bill C Walton and Krys pose in front of local merchants sign which calls attention to their 50th Anniversary. Congratulations to a great couple and good friends. 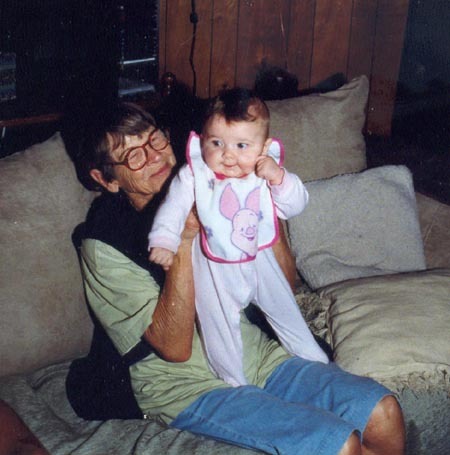 Mrs Bill Walton (Krys) with great grandaughter Paige. 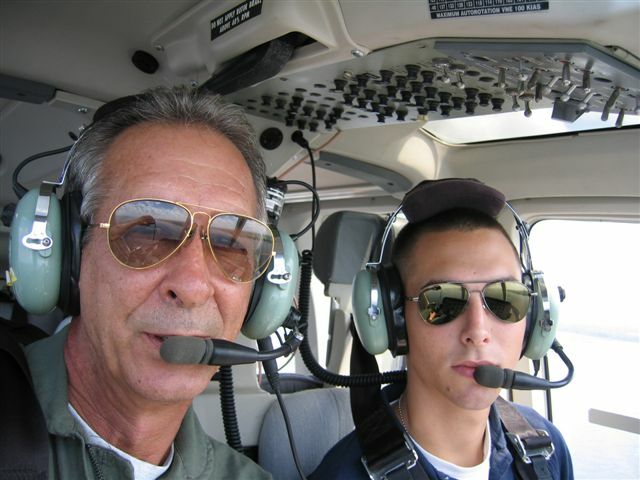 Paige's father Sean is presently stationed in Iraq as an avionics specialist with an Arkansas Air Guard Squadron. Former Blue's riflemen Tom Mohrfeld on the left and Pete Riesenberg meet up in Boston. Both were in the Blues 4th squad.